There are a number of strategies that can be adopted to help protect and minimise the risks of exotic and emergency pests under International Plant Protection Convention (IPPC) standards and Commonwealth and state legislation. Many pre-emptive practices can be adopted to reduce the risk of exotic pest movement for your industry. Such risk mitigation practices are the responsibility of governments, industry and the community. 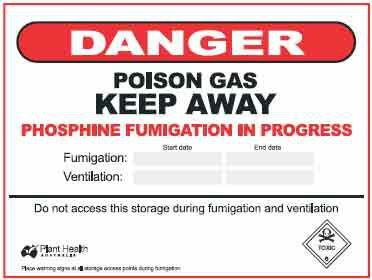 These warning sign templates have been developed by PHA in conjunction with our members. These templates can be used by signwriters to print warning signs on a range of different materials. 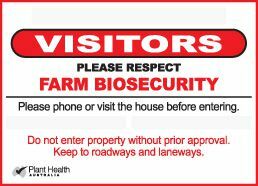 The use of these templates is free to any stakeholders interested in implementing biosecurity on their property. The objective of risk assessment is to clearly identify and classify biosecurity risks and to provide data to assist in the evaluation and treatment of these risks. Risk assessment involves consideration of the sources of risk, their consequences, and the likelihood that those consequences may occur. Factors that affect the consequences and likelihood may be identified and addressed via risk mitigation strategies. Technical Guidelines for Development of Pest Specific Response Plans has been prepared to assist member with contingency plans for emergency plant pests.